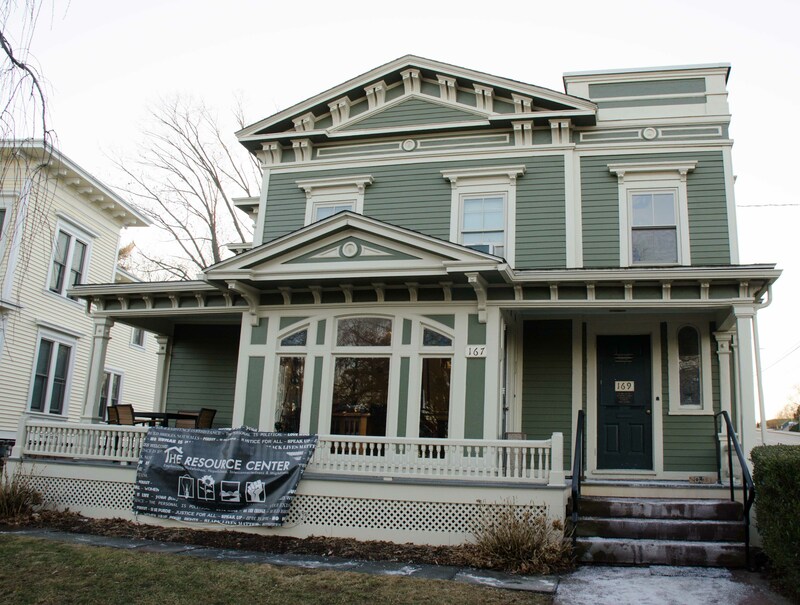 The Office of Religious and Spiritual Life (ORSL) has opened a new multi-faith center on the second floor of their building at 169 High Street. The space is intended for students of all faiths, and has religion-specific customizations, such as a shoe-free zone for Muslim students, so that everyone can feel welcome. At that point, the search began for another space on campus that might fit the Muslim community, especially as the group grew. Over the past couple of years, the prayers moved from space to space, booking various rooms around campus to accommodate their needs. A group of students met with Whaley, University President Michael Roth ’78, and Provost Joyce Jacobsen on March 26, 2018, to deliver a presentation for a multi-faith building. The building, as initially proposed, would have included a multifunctional room for prayer and services, another multifunctional room for prayer and social events, a smaller silent room for meditation or private prayer, a library/meeting room, and a Kosher/Halal kitchen for student use. However, any currently available spaces will not be available permanently, given the planned renovations to the Film Center, Exley Science Center, and Public Affairs Center. These renovations will have radiating effects on temporary relocation of various faculty members who will need to use various currently available spaces around campus. After the completion of those construction projects, which is expected in 2024, the University expects to revisit the concept of a multipurpose, multi-faith building. For now, this new multi-faith space will serve as a place for members of different faiths to gather independently, or perhaps to gather together and discuss or observe shared traits of their faiths. Renovations to the space began and ended over winter break. Students from various faiths met with Physical Plant Associate Director Roseann Sillasen and Senior Project Planner Brandi Hood to design the space, down to paint swatches and furniture. Features of the final space include a nearby foot-washing station, a rack for shoes, a curtain that can be extended through the middle of the room, and a rug with particular lines on the shoe-free half of the room to indicate the direction towards Mecca. The negotiations over the particulars of the space were not always without contention. Religious and Spiritual Diversity Intern and Muslim Student Association member Melisa Olgun ’20 spoke to the complications that arose with trying to form a compromise among various faiths, including the Jewish community, Christian community, Muslim community, Hindu community, Buddhist community, and students who go to ORSL’s Vespers. Different religious groups hope to accomplish greater goals specific to their own religion’s specifications, such as food accommodations, and the IFC will continue to pursue greater visibility and accommodation of basic religious needs for the many populations of faith on campus. ORSL will be hosting an open house in the new multi-faith space on Tuesday, Feb. 12, at 3:30 p.m. Reverend Tracy Mehr-Muska expressed the hope that students of different faiths may come to pray together, or at least join in conversation about their various religious and spiritual associations. “The most important thing, that all of us think, is just for people to have a sense of belonging here,” Mehr-Muska said.